Every "Thank God I..." story shares the empowerment that is liberated in conquering life's tragedies. Each author shares a unique challenge, a unique lesson, and a special way to view the world. 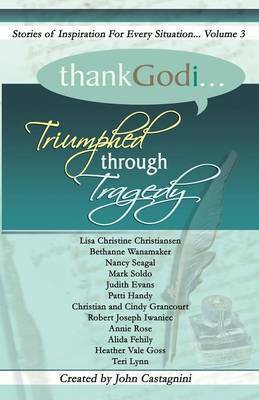 "Thank God I..." takes the triumph of the human spirit to an entirely new level. We are all guaranteed challenges in life. There is great wisdom that can be found in learning from the trials and tribulations of others. Discovering one simple profound truth can transform an entire life. There are dozens of such gems inside this book waiting to be discovered by you.